Ayub Medical Teaching Institution, Abbottabad authorized department has assigned the National Testing service NTS to commence the Screening Test and evaluate the candidates that they are able to hire for these jobs are not because they invites the application from the highly skilled and competent candidates. You are interested to join the Ayub Medical Teaching Institution, Abbottabad as A Charge Nurse then you must fulfilling the eligibility Criteria and required qualifications, and Required qualifications are mentioned below. with the eligibility Criteria and terms & conditions as well. Registered “A” Grade Nurse and one year Diploma in Midwifery. Once you will apply for the nts test then nts will display the candidates lists if your name is appeared in that lists then you will be eligible to appear in the nts screening test, So NTS will send you roll number slips at your residential address and next process is that you must start preparation for the nts test. Don’t worry about that because we bring online test preparation mcqs according to the nts test pattern and syllabus. Experience where prescribed shall be counted after obtaining the required qualification. NTS test will be held for screening purpose. The passing standard is 33 marks in the NTS test. Only shortlisted candidates shall be called for interview. 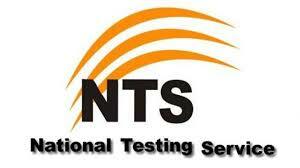 The test will be conducted by the NTS and eligible candidates are required to send their applications to the NTS. The detail requirement of qualifications, number of positions, domicile and age limits can be seen / downloaded from institutional website (www.ath.gov.pk). No TA/DA shall be allowed for attending the test / interview. The undersigned has reserved the right to cancel all or any post without assigning any reason. The last date for receipt of application is 30.01.2019.